609 Market Street in Kirkland, Wa 98033. 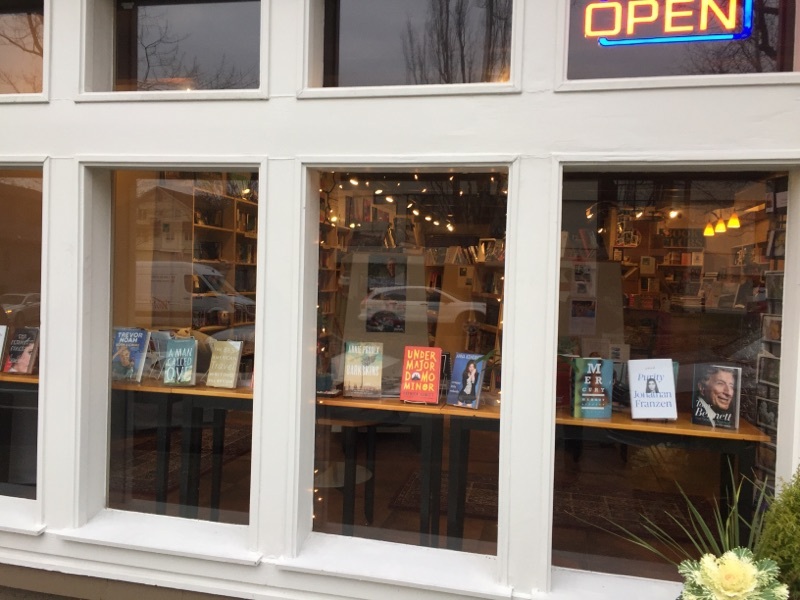 We had our Grand Opening on November 5th.It has been an overwhelming, and rewarding journey creating a new bookstore for Kirkland. Last Sunday the Seattle Times featured our store! followed by a free reading and open mic. Free Workshop 4:30 to 6:00 p.m.
Reading & Open Mic 6:15 to 8:00 p.m.
Priscilla will be offering a generating poetry session at Kirkland’s new independent bookstore, BookTree this Saturday November 19 at 4:30. We will be using models and writing prompts to generate one or more poems using a hoarding or gathering technique. You are cordially invited to join us no matter whether you are an experienced poet or not at all. It will be fun! carried from one silence to another, . . . . The Workshop will be from 4:30 to approximately 6:00 p.m.
And then…… A free Poetry Reading and Open Mic will follow. Reading and open-mic 6:15 to 8:00 p.m.
(University of New Mexico Press, 2015). in theatre. He’s been widely published. Tod Marshal Reading This Friday!!! reading in Redmond Friday the 18th at 7 p.m.
dust has settled, what is next? What now? didn’t vote at all, to consider What Now? to take over the world 25 students at a time. Puzzle of Murders (Bookland Press, 2011). Community Mic after the featured readers. Sign up sheet at 6:45. You are currently browsing the archives for the Book signings category.